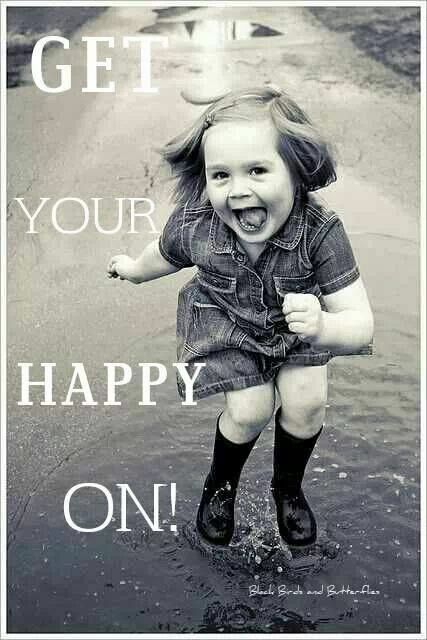 IT’s FRIDAY…….get your happy on! I’m really happy it’s Friday…just looking forward to being with my girls and hopefully spending some time outside! This morning I got up early, did my 1:15 minute plank and then painted my nails….cause that’s what this mama does at 6am and her kids are still sleeping. 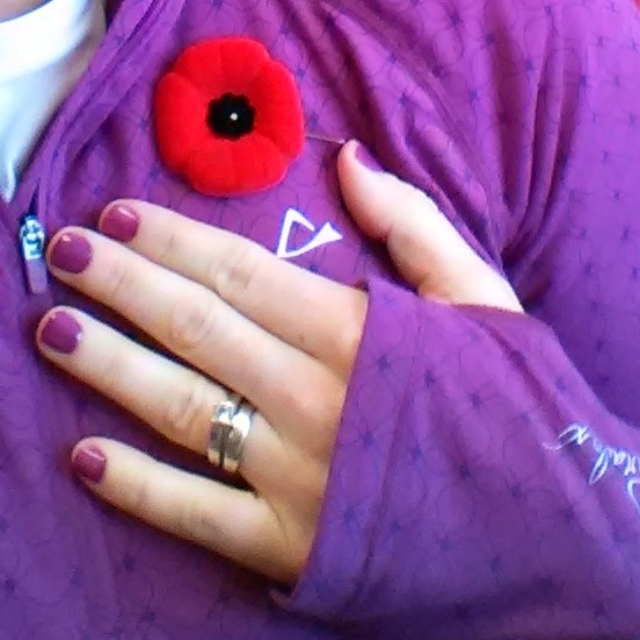 What I didn’t really plan out was how much my outfit would match today! At lunch today, a co-worker and I took in the Devour! Food Truck Rally in Wolfville. Though I was rather disappointed with the turn out of actual food trucks (3 if you count the hot dog guy), the food was awesome! There were supposed to be four trucks at today’s rally but there was two and a hot dog guy. Apparently last night there were 8 trucks and up to an hour to wait for food – woah! It was tacos all around. From the “Edible Sideshow Food Truck”: I got 1 refried beans/cheese taco and one pulled pork taco. I loved the pulled pork one – it may have been the hot sauce I put on it or just the amazing taste of the pulled pork. Oh and of course I got desert. It was called “Banoffee Bites” from the “Nomad Gourmet”. Naan bread with baked bananas in a drizzle of caramel/ nutella sauce and whip cream……so, so good! This was a pretty good way to start the weekend! I’m pretty sure we have some leaf piling and jumping to do this weekend with a side of bike riding in what will probably be our last warm weekend for a while. Anyone going to the Devour! Food Film Festival this weekend? Favourite food truck you’ve been to? I painted my nails too: *pink*!! 😉 bright colors make me happy. And I’m loving that happy Friday pic! So cute! And this weekend, oh, you know I’m just running a marathon tomorrow down in Savannah. It’s gonna be a hot one! Love pink nails! Good luck with your marathon! I’ve never eaten at a food truck before. I’m kind of boring with my food. :). 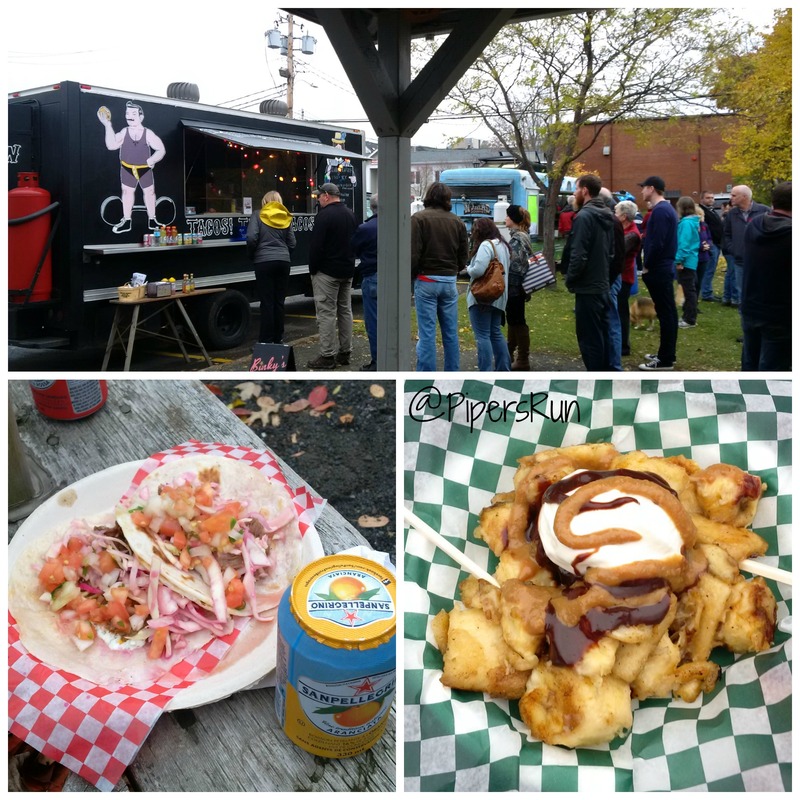 It’s fun going to a food truck – so much unknown yet so good at the same time! That food truck food looks delicious! Hope you have a great weekend! Oo I love food trucks, especially ones that serve tacos! I bet the pulled pork was delish. Mmmm. Now I want a pulled pork taco, haha!